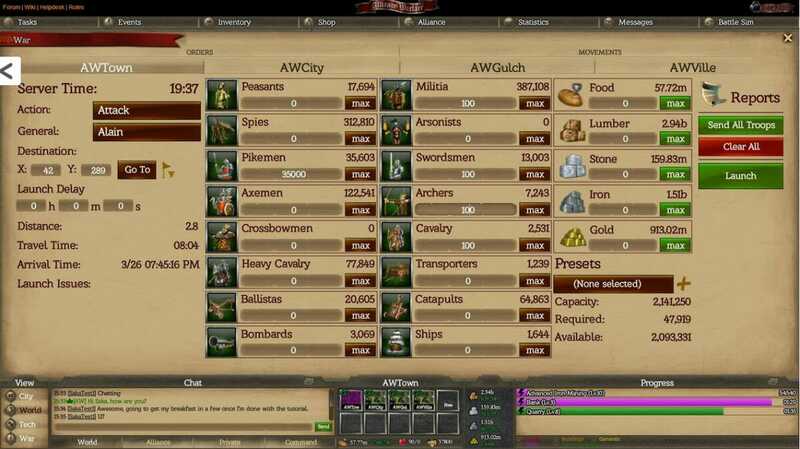 Alliance Warfare is a highly popular free to play MMORTS developed by DXS that puts you in control of a chosen small town and tasks you with having to turn that town into the most powerful one in the game. We know that this genre has been done to death and that once you have played one you have pretty much played them all. Unfortunately this is the same for this game as it does not add anything that is really original. 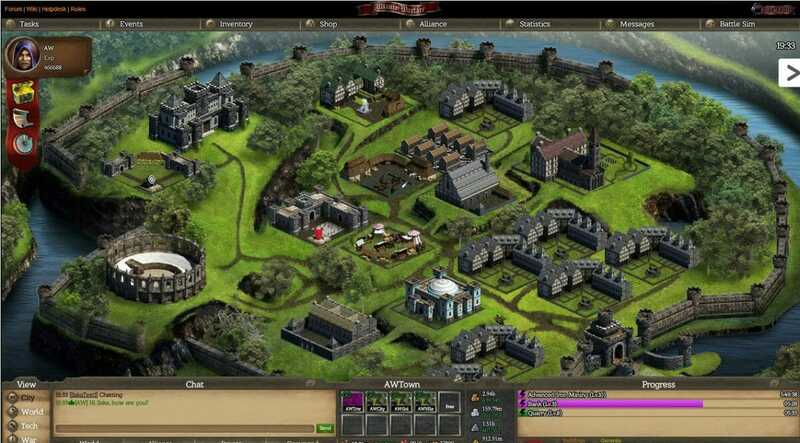 You start out with a small kingdom and have to collect resources and build up your town until it is a complete empire. There is of course the usual need to research and build your structures, develop and train your army and forge alliances. Once you start up the game you need to choose a name for your character and use the limited customization options to get your character looking just how you would like. You then have to choose a zone for your city to be created. Each of these zones supports as many as thousands of other players cities. A good tip would be to select a zone that is not very highly populated as the fewer players you have in a zone means fewer enemies. One of the good aspects of the game is the fact that it has a live radio station playing within the game. The game has a selection of DJ’s that cover shifts meaning that it plays 24 hours a day. Players can even make song requests to the DJ’s. Once you get under way you will have to complete quests which will reward you with resources, experience and of course gold. These can be used to construct buildings such as apartments for your citizens, barracks for your military forces, spy camps for your spies, factories, markets and store houses. As for research, there are three different research branches that you slowly develop. 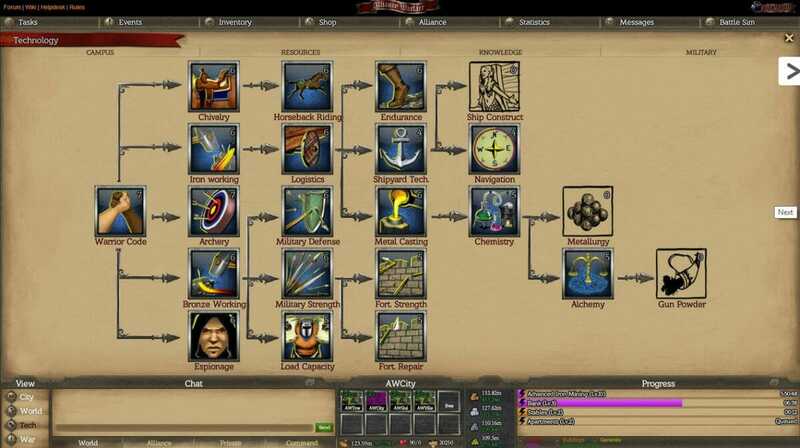 These are the resource branch which will help with the economical aspects of your town, the knowledge branch which will improve the efficiency of your resource generation and finally the military branch that will bring you better soldiers and weapons. As for the PvP aspect of the game, you may be a little worried about being attacked as a new starter. Well actually the good news is that you have ten days protection which means you have nothing to worry about and can build up your city and defenses within that time. Once that protection ends however is when the fun really begins. Cities are allowed to attack each other at any time during the game. This is why it is important to try and create as many alliances as possible to help you fend off your enemies. These alliances can even be used in Alliance Wars which add another good twist to the game. Where the real cash aspect comes into the game is through the cash shop. You can purchase better bonuses, can reduce the amount of time it takes to construct your buildings and can purchase relics. These relics can be used in a spin the wheel type game called Warfare Wheel where extremely rare items can be won. In summary there is not really anything on offer that has not been done a hundred times, that is apart from the live radio. If you love this sort of game then by all means give it a try but we have a feeling many of you will have seen it all before.